Macquarie Group, Australia's leading investment bank, has a hole to fill. In the years after the global financial crisis, the bank's Corporate and Asset Finance (CAF) unit - an opaque business analysts call a "black box" - accounted for almost a third of Macquarie's earnings, driving growth fueled by a A$33 billion ($26.18 billion)-plus bet on largely non-investment grade debt. But the high-margin, junk loan portfolio is now shrinking as investments mature, competition heats up and the conditions that fed a hunger for that debt - the financial crisis and then Europe's bank jitters - have calmed. That's left the unit, and Macquarie, having to find growth elsewhere. A Reuters analysis of dozens of disclosure documents and bank presentations shows the CAF unit's junk-heavy portfolio has shrunk by 40 percent to A$6.8 billion in March - its lowest level in more than six years - from A$11.4 billion in 2015. As CAF's growth has slowed, so too has Macquarie's. In the financial year to end-March, net profit rose 7.5 percent - a fraction of the high double-digit growth of recent years. "Deal volumes are down... it's a competitive market again," said one person close to the CAF division. The unit isn't just junk debt, it also includes mundane businesses like aircraft leasing and auto finance. But its growth was driven by the bet on non-investment grade debt in the aftermath of the financial crisis. "It's not a conscious decision to wind it down," said Omkar Joshi, portfolio manager at Regal Funds Management, which doesn't have a position in Macquarie as it sees the shares as fairly valued. "It's just that the opportunities don't exist for the moment." The loans in the CAF book mature on average every 3-5 years, according to a Macquarie presentation. And with few new options, that's a concern for CAF's high-flying boss, 46-year-old Ben "Brains" Brazil, one of the bank's best paid executives. It financed a 30 million pound ($39.1 million) acquisition of three office buildings in London in May, and last year supported a 300 million euro refinancing of a private hospital in Dublin. In New York, it's promoting itself as a provider of middle-market leveraged finance solutions. Sometimes referred to as "Ben's book", the CAF portfolio includes bonds, bank and mortgage debt, and loans that Macquarie originates. "The portfolio is predominantly senior secured loans which have numerous covenants and are secured against high quality assets – almost 90 percent of these are to non-investment grade borrowers," a bank spokeswoman said in a statement to Reuters. But part of the mystique around CAF is that even investors who follow Macquarie closely don't know what's in it. The bank doesn't record mark-to-market gains and losses on the book because, it says, it holds the vast majority to maturity. This means shareholders don't see the highs and lows of what could be a volatile part of the business. But healthier credit markets since the European banking crisis mean there is less disruption for Brazil's team to profit from, and more competition. Brazil's short-term bonus - a rough gauge analysts use to measure the junk book's profitability - slipped to A$6.4 million in the year to March, from A$6.7 million a year earlier. The son of an affluent Queensland farmer, Brazil joined Macquarie over two decades ago. He was the protégé of the current CEO Nicholas Moore, and one of his first jobs was to advise the late media mogul Kerry Packer on a potential buyout of Qantas, the country's biggest airline. In 2006, he took part in a complex deal to start selling PBL Media, then run by Packer's son James, to private equity group CVC. He would go on to sit on the board of Packer's Crown Resorts. "He's very smart. When it comes to sniffing out opportunities in imperfectly priced markets, there are none better," said a Sydney lawyer who worked on the CVC deal. At the height of the financial crisis in 2008, Australia's Labor-led government said it would allow banks to pay a small fee in return for using the government's AAA rating to issue debt. Brazil swooped. For example, Brazil's team bought debt in motorway service station operator Tank & Rast Germany in 2009 by picking up senior loans from a distressed European bank. By the end of 2013, the company was able to refinance all its debt at par, realizing what Brazil later described as a "significant profit", though he didn't disclose how much. "They were one of the few banks able to actually buy these loans, and at a good price, because their funding cost was much lower," Regal's Joshi said, raising the issue of the cheap funding behind the junk bond bet - which has prompted some public criticism of Macquarie. Australia's then-treasurer, Wayne Swan, said the guarantee was necessary. "We acted in an entirely appropriate way and a way that basically stopped the destruction of a significant part of our economy at a really difficult time." 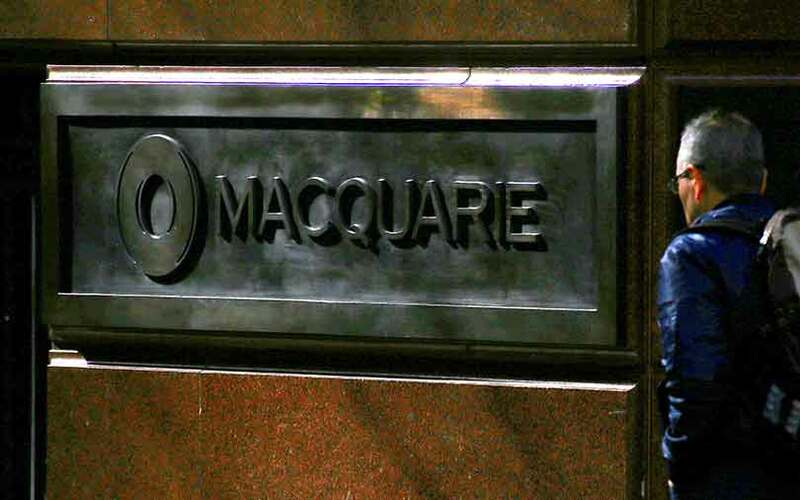 A Macquarie spokeswoman disputed that Macquarie took advantage of the guarantee, noting the bank's total loan assets fell while the guarantee was in place. It may take another major market jolt for Brazil's unit to cash in once again. "It was a great little opportunity while it lasted, but trying to recycle it is pretty tough," said a veteran banking analyst. "They won't close it down. They'll just wait for credit spreads to blow out again and try to trade around it."